The End-User Characteristics Matrix, a mapping of user characteristics onto four end-user taxonomies, provides a more detailed perspective on the end user as developer/operator of computer-based information systems. Understanding individual end users is probably the most critical element to effectively managing end-user computing in organizations. Yet many managers do not really understand the end user they are attempting to manage. The purpose of this paper is to develop a framework which will allow the manager of end users to identify and describe user characteristics which differentiate, define, and help us better understand the end user. Previous literature on end users is discussed where four end-user taxonomies were presented, categorizing end users according to one or more characteristics, along with empirical research which utilized those taxonomies. The Rockart and Flannery end-user taxonomy has been the most widely used framework since 1983. The most comprehensive taxonomy, Cotterman and Kumar’s User Cube, was used as the basis for definitions in this research. The end user located in the developer/operator plane, identified as the fastest growing category of end users, was investigated in depth. 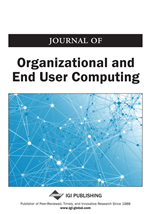 Empirical research in end-user computing was examined to identify the set of user characteristics. Researchers studying end-user computing can use the matrix as a starting point to visualize how past research taxonomies and empirical studies are interrelated. Practitioners, anxious to develop policies to manage EUC, can concentrate their efforts on certain user characteristics they observe to be problematic.